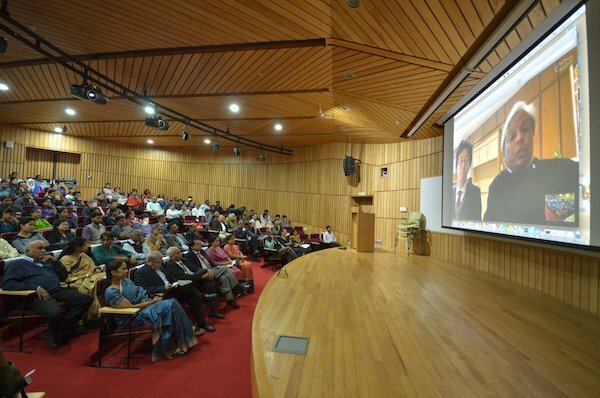 On Wednesday, 20 January 2016, the National Centre for Biological Sciences (NCBS), Bangalore played host to the launch of a new collaborative initiative that will bring stem cell research in India and Japan to bear on clinical studies of brain and blood disorders. The venture, titled “Accelerating the application of Stem cell technology in Human Disease” (ASHD), is the first of its kind within India and perhaps one of the few at this scale worldwide. Already in its preliminary stages, the collaboration includes four institutes across South India: NCBS, Institute for Stem Cell and Regenerative Medicine (InStem) and the National Institute for Mental Health and Neurosciences (NIMHANS) in Bangalore, and Christian Medical College (CMC) as well as Centre for Stem Cell Research (CSCR), a unit of InStem at CMC in Vellore. The Centre for iPS Cell Research and Application (CiRA) at Kyoto University, Japan is a partner in the collaboration, and will help provide training and expertise in stem cell technology. 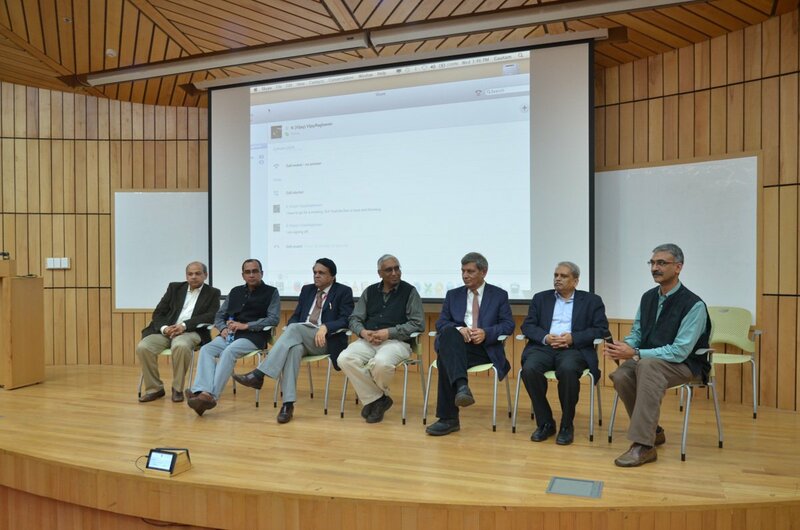 The event at NCBS on 20th January began with talks by representatives from all participating organizations, explaining how their different streams of expertise will thread together in the coming years. NIMHANS, NCBS and InStem are spearheading the section of the project dealing with brain disorders. By developing stem cell lines from family cohorts whose clinical data NIMHANS has maintained for decades, researchers at NCBS and InStem hope to explore the biological pathways underlying conditions such as manic depressive disorder, schizophrenia, addiction and attention deficit disorder. Likewise, stem cell technology will allow researchers at NCBS and InStem to examine and develop therapies for common blood disorders in India treated at CMC Vellore, such as sickle cell anaemia, haemophilia and thalassemia. The latter project will also work towards developing protocols for haplobanking—banks of stem cell lines from healthy donors that can then be matched for blood transfusions or organ transplants. Planned over the course of several years, this long-term, multidisciplinary project is supported by a combination of government and private funding. ASHD has been granted funds from the Department of Biotechnology (DBT) and from Pratiksha, the family trust of Kris and Sudha Gopalakrishnan. Kris Gopalakrishnan is co-founder and former Vice Chairman of Infosys. Secretary of the DBT, K VijayRaghavan, spoke to the gathering via Skype. He spoke of how advances in stem cell biology are allowing us to move beyond model organisms in medical research. “The opening up of the possibility of studying human cells is an extraordinary opportunity to understand human health and disease,” he said. That opening up of possibilities rides on a breakthrough which is still relatively new. Not yet a decade ago, Japanese stem cell researcher Shinya Yamanaka and colleagues demonstrated how to convert any adult cell into an embryonic stem cell, first in mice and then in humans, work for which Yamanaka won the 2012 Nobel Prize. Given the capacity of stem cells to develop into any cell type and thus any tissue in the body, stem cells have always had high potential as research tools and therapeutic agents. Prior to Yamanaka’s discovery, however, stem cell research in humans faced the ethical constraint that embryonic stem cells could only be recovered from embryos. Thanks to Yamanaka’s discovery, iPSC lines can now be generated from any individual on earth, which can, in the case of disease, allow us to study the biological basis of that disease under controlled lab conditions. “The assumption being that when you create stem cells from individuals, some of the disease drivers are recapitulated in that system,” cautioned Satyajit Mayor, director of NCBS and InStem. If the disease is entirely a product of environmental insult, it will not show up in the recreated tissue. And even if the disease does turn up, answers may still not be forthcoming. Rao described a puzzling case of Parkinson’s Disease that he once encountered, where careful comparison of newly-grown, diseased neurons of one individual with the healthy neurons of the individual’s identical twin still provided no clue as to what had caused that stark difference. Although the application of stem cell technology to clinical research could lead to rapid development in our understanding of hereditary disorders, it has its limitations. One audience member on Wednesday brought up a long-standing debate about the medicalisation of mental illness, concerned that an emphasis on technological solutions may blind us to the problem’s sociological side. Another issue from the audience was that psychiatric disorders tend to be classified by symptom, given that our understanding of causation is still incomplete—a shortcoming that projects such as ASHD would seek to rectify. Symptomatic categories, influenced by culture and blending a potentially wide range of genetic and environmental underpinnings, may not automatically map onto the causal categories that genetic studies try to uncover. Sanjeev Jain, professor of psychiatry at NIMHANS pointed out that regardless of debates about sociology, psychiatric definitions are based on practise, and the suffering associated with severe mental illness is real and requires treatment. Moreover, Jain and his colleagues at NIMHANS have observed the clear heritability of mental illnesses such as manic depressive disorder and schizophrenia in their work with individual families over the course of decades. It was this repeated observation that caused Jain to initially approach researchers at NCBS several years ago, looking for a collaboration with geneticists that might lead to a deeper understanding of the biological basis of psychiatric disorders. Satyajit Mayor emphasised the novel opportunity offered by this collaboration. “Cohort studies of families are very rare,” he said. “To have so many affected families that have been studied for so many years is almost a unique resource worldwide.” NIMHANS sees an estimated half a million patients per year, meaning at least hundreds and perhaps thousands of families whose records go back thirty or more years. “It’s unbelievable that this sort of information exists,” said Mayor. Family studies from India may be even more useful in a study of the biological basis of genetic disorders because of a quirk of the very large population: “We have an incredibly genetically diverse population, and we have tremendous consanguinity in the population,” explained Mayor. In other words, there is a large amount of genetic variety overall in the population, but not much intermixing, and thus low diversity within community groups. Thus, slight biological differences that correlate with differences detectable at the clinical level can be teased apart. “If there is any information in the genes—the question is if —we will find it in [projects like ASHD],” said Mayor. And he pointed out that the confluence of clinical data with laboratory techniques potentially capable of decoding that data is a time-dependent one. The knowledge of clinicians with decades of experience is not going to be around forever. “Either we engage with that information now or never,” he said.